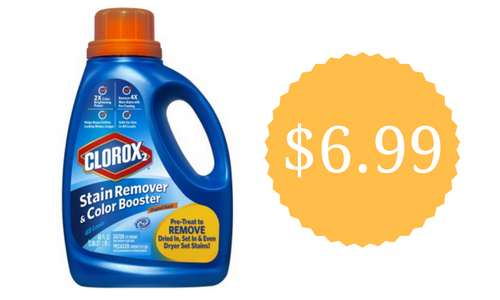 Save $4 on Clorox 2 detergent at Publix this week thanks to a sale and a high value coupon. You can get Clorox 2 liquid laundry detergent for $6.99 (reg. $10.99)! Don’t forget you can print the coupon twice and you have up to 30 days to use it.